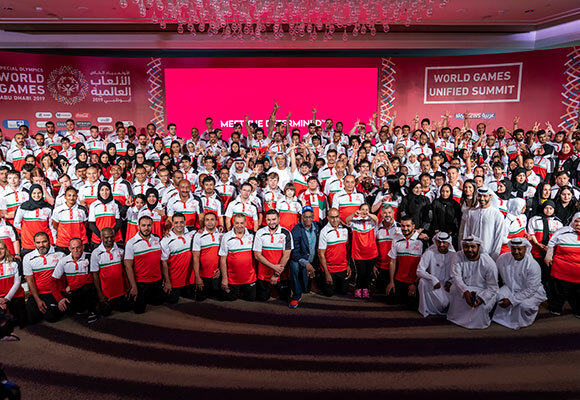 This March, Abu Dhabi will play host to the Special Olympics World Games, a sporting event for people of determination (with intellectual disabilities). 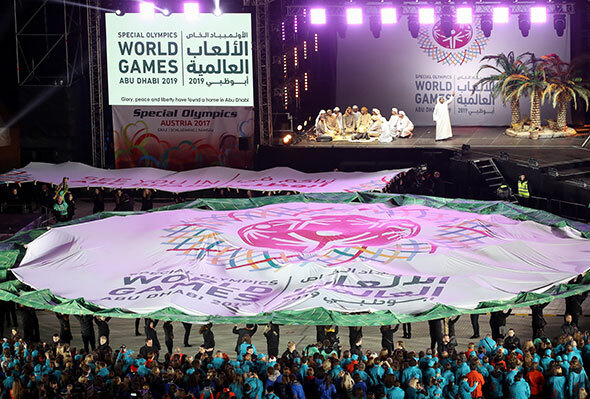 The Opening Ceremony for the Special Olympics World Games Abu Dhabi 2019 takes place on March 14 at Zayed Sports City, headlined by popstar Avril Lavigne. It will also feature the Athelete Parade where 7,500 athletes from more than 190 nations will walk into the Zayed Sports City arena in front of a crowd of more than 40,000 spectators, VIPs and Special Olympics officials. If you don’t manage to get tickets, don’t worry: the ceremony will also be broadcast live from Zayed Sports City to millions of viewers across the world. 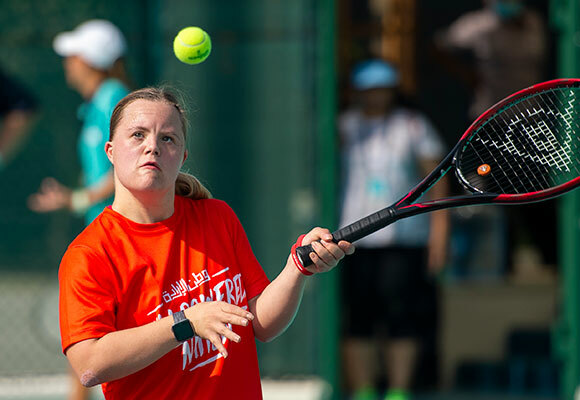 In the Special Olympics World Games Abu Dhabi 2019, athletes will compete in 24 different individual and team sports: athletics, badminton, basketball, beach volleyball, bocce, bowling, cycling, equestrian, football, golf, Judo, kayaking, open water swimming, powerlifting, roller skating, sailing, swimming, table tennis, triathlon and volleyball. All competitions will take place in venues across Abu Dhabi and Dubai. What better way to show your support than by volunteering to help in the lead up to and during the Games? The Abu Dhabi Games are set to break all previous records, with more athletes and a greater number of countries than ever before. To ensure these games are the most unified and successful to date, Special Olympics organisers are seeking 20,000 volunteers. There’s an array of roles that need to be filled, covering everything from guest services and medical assistance to translation, technology, media and communication. You must be able to commit to a minimum of four shifts with most volunteering hours taking place between 7am and 7pm. Saleh Almarri, 25, started his sporting journey at a young age by playing bocce, table tennis, and swimming before switching his focus to bowling. 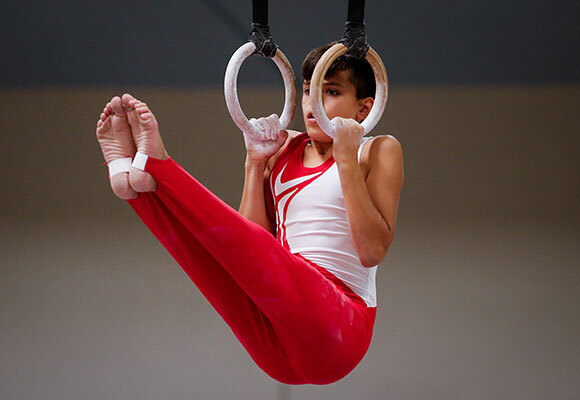 He has participated at the Regional Games level and at the World Games in Greece and Los Angeles where he racked up a total of 8 medals (seven gold and one silver). Hamda is a sprinter who loves running so much that she says her legs hurt when she is not on the track. 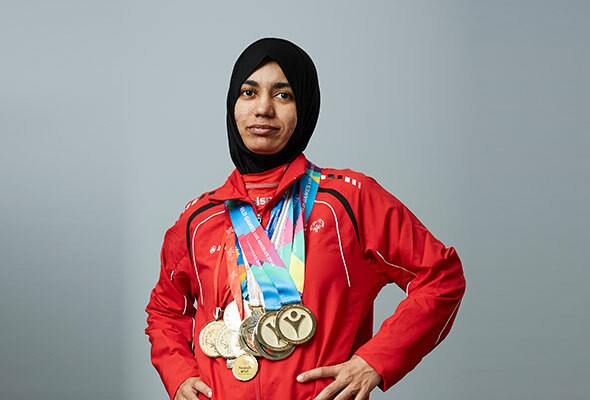 Hamda, 29, has 15 Special Olympics medals to her name and just represented the UAE in the 2018 MENA regional games. Changing attitudes is what drives Hamda: “In the Middle East, people look at intellectual disabilities as a bad thing, but I want to change that negative perception,” she said. 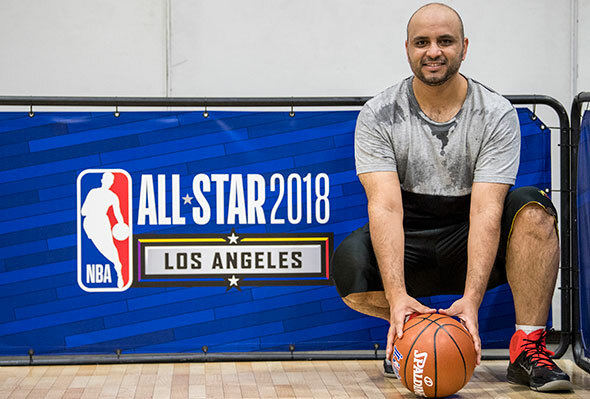 Abu Dhabi local Butti is a basketball standout who was chosen to compete in the NBA Unified Basketball Game. 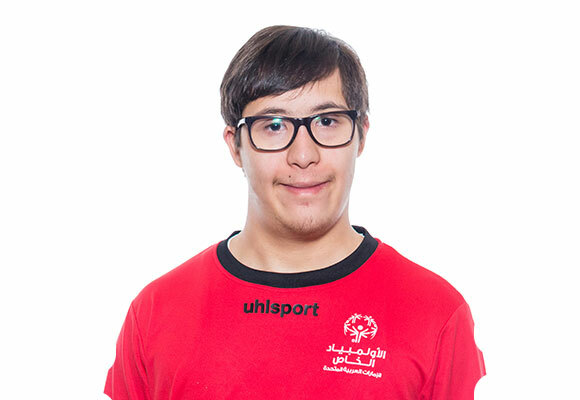 Butti has participated in four Regional Games (Abu Dhabi, Algeria, Morocco, and Egypt) and three Special Olympics World Games (Korea, Los Angeles and Austria). Basketball changed Butti’s life through his regional and World Games experience. He has met many friends from all over the world who he says are “indispensable” to him. To date, Mohamed has won an impressive 36 medals for his country, the most recent three coming at last year’s Special Olympics IX MENA Games Abu Dhabi, where he won one gold and two bronze medals. 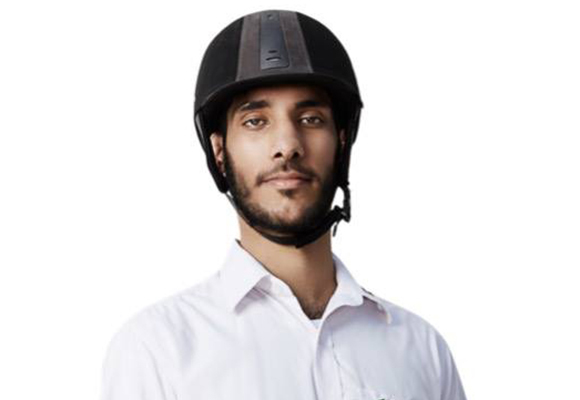 At only 21 years of age, Mohamed now has his eyes set firmly on Special Olympics World Games Abu Dhabi 2019. As well as equestrian, Mohamed also enjoys athletics, karate, handball and basketball, although training twice a week with his horse at Al Ain Club is his priority. Clari is a fitness role model for the UAE team, as one of three people with Down syndrome in the world officially certified as a Zumba instructor. She’s long been a trailblazer for inclusion, even as a child: her acceptance into a regular (not special) school was front-page news. 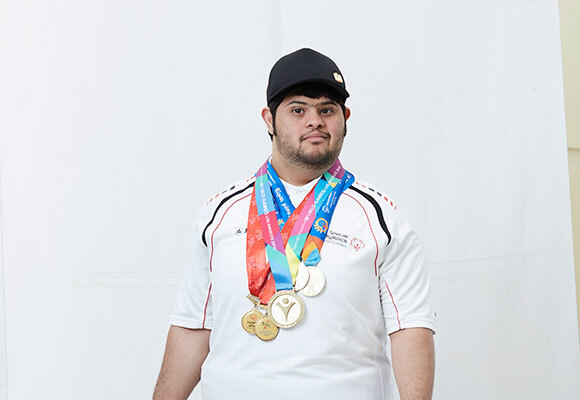 Omar has participated in the 2018 MENA games, were he won gold and silver. “I want all people to support us and accept us as we are,” says Omar. He also aspires to be an influencer for people of determination and vows to continue to raise awareness about the great abilities of people with intellectual disabilities.